When I heard about this, I actually was not surprised that they would market a chocolate formula for children. Anything to make the child happy even if it means that it increases their chance for obesity, tooth decay, allergies, diabetes, etc..
Mead Johnson’s Enfagrow Premium contains more than 25 additives supposedly intended to boost growth, brain development and immunity for the kids — but some say the massive amounts of added sugar for flavoring may contribute to the childhood obesity epidemic. 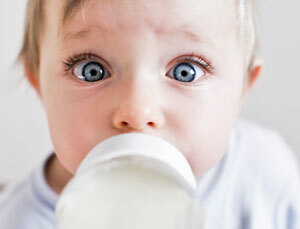 Mead Johnson’s Enfagrow, a nutritional supplement for toddlers, is little more than fortified milk with added sugar. The first three ingredients on the label are just that: whole milk, nonfat milk and sugar. While the vanilla flavor is sweetened with sugar, the unflavored variety contains corn syrup solids, i.e. fructose — precisely the ingredient that is contributing to the obesity epidemic facing both adults and children in the United States. 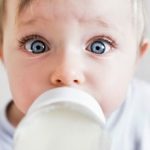 You might as well be giving your baby a bottle of Coke or Pepsi! Instead, according to the Weston A. Price Foundation, egg yolk should be your baby’s first solid food, starting at 4 months, whether your baby is breastfed or formula-fed. Egg yolks from free-range hens will contain the special long-chain fatty acids so critical for the optimal development of your child’s brain and nervous system.